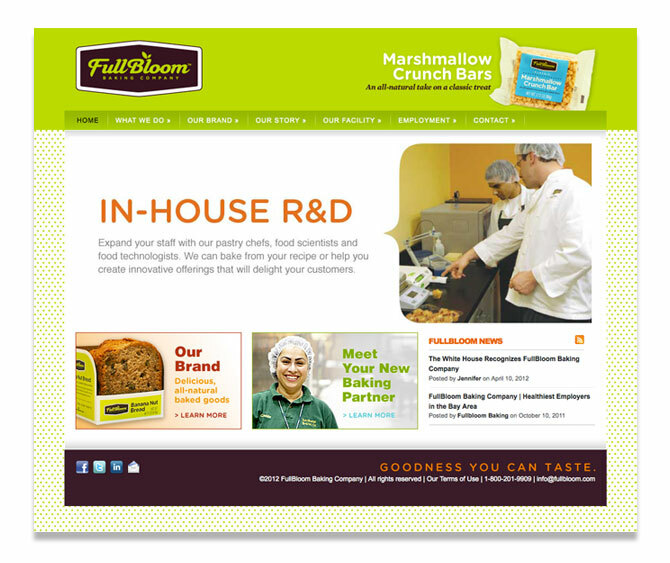 The FullBloom website had to speak to both consumers and wholesale customers. Our challenge was figuring out how the brand and capabilities stories could complement each other without confusing site visitors. 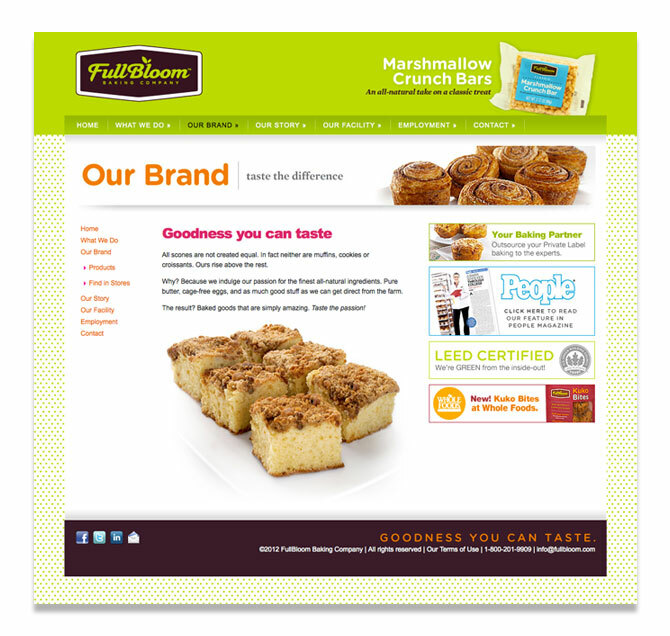 We discovered we could use the brand to show wholesale customers what FullBloom can do. 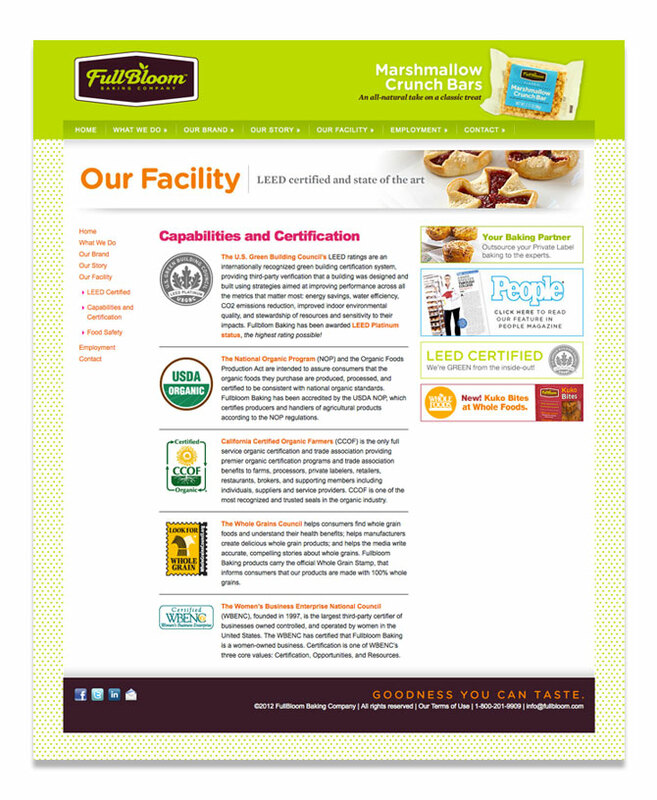 And, by sharing information about the facility and operations, consumers could see that when it comes to turning good values into good business, FullBloom walks the walk.